Android is stepping towards the success day by day and this year has turned to be the most Successful year for Google as the Android has registered 5.2% year-on-year. 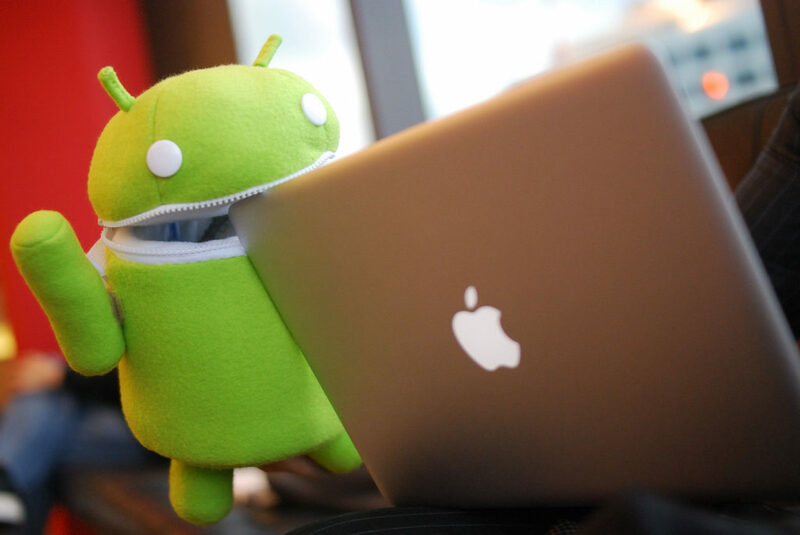 Google’s Android OS has been and will remain the majority share platform in smartphones for the foreseeable future. According to IDC report, Android’s market share for this year will stand at 85%, after achieving a year-on-year growth of 5.2%. 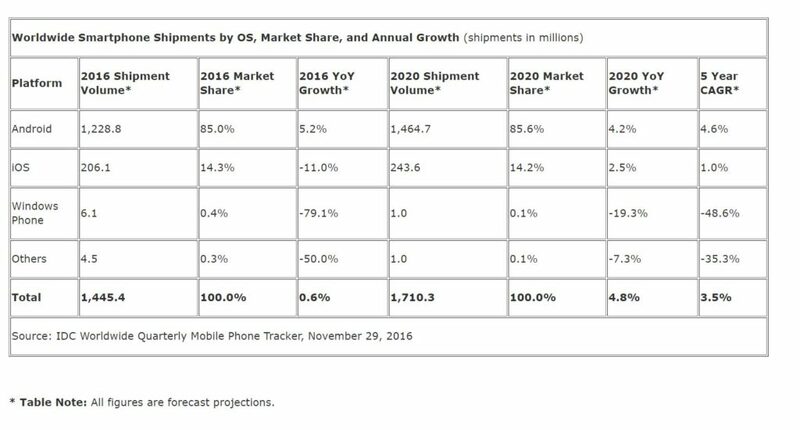 iOS, on the other hand, will claim 14.3% of the market, having seen its shipments decrease by 11%. The iPhone 7 does not stand on the people expectation as iOS have registered three-quarters of year-over-year declines, as well as a projected fourth quarter decline by IDC. All signs point to 2016 being the first full year of declining shipments for Apple’s iPhone. In total, Google’s and Apple’s mobile operating systems will claim over 99% of the market, leaving just 0.4% share for Windows Phone and 0.3% for others. The combined share for Android and iOS will reach nearly 100% by 2020, the report says. Much of this growth is coming from emerging markets (Asia/Pacific excluding Japan, Latin America, Central and Eastern Europe, and the Middle East and Africa), where only 61% of 2015 smartphone shipments were 4G-enabled compared to IDC’s 2016 projection of 77%. Mature markets (USA, Canada, Japan, and Western Europe) are further along the 4G adoption curve with 85% in 2015 and a projected 94% in 2016, respectively. There is also an important Role of the low-cost 4G smartphone in the growth of Android. The report also reveals that shipments of 4G smartphones are all set to hit the 1 billion mark this year.